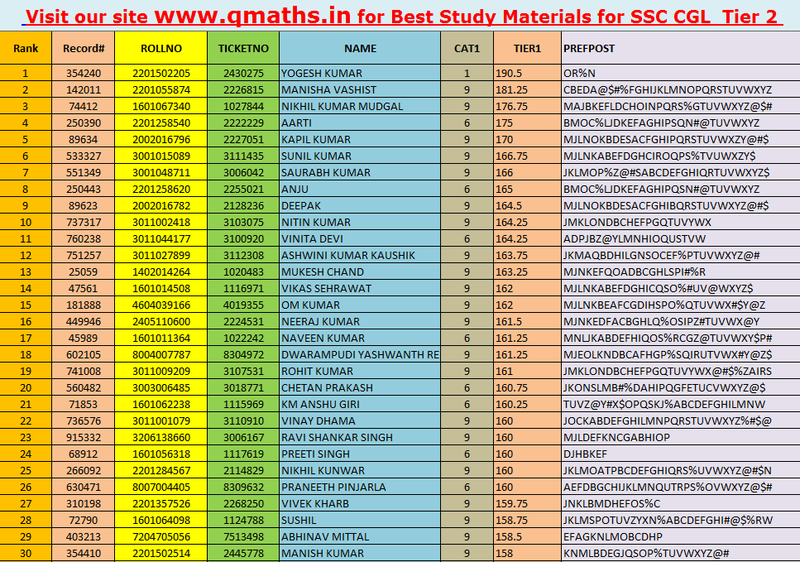 Hello Friends, This is a Snapshot of Top 30 candidates of SSC CGL 2015 Tier 1 Examination. To know your RANK click on the link given below. 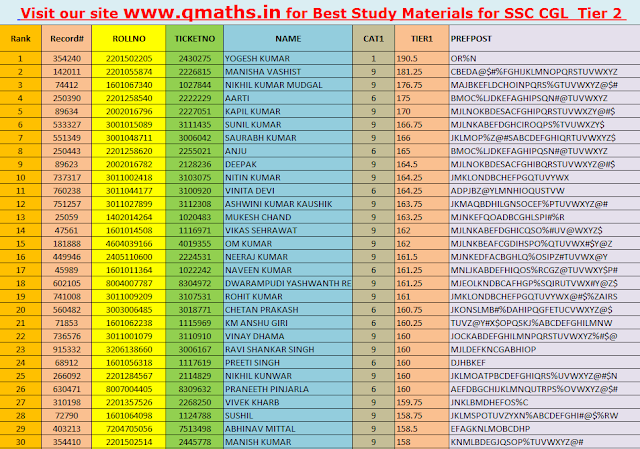 You can download and know your Rank of SSC CGL 2015 Tier 1 at the following link. This downloadable file is shared via Direct download from Google Drive, and its size is 48 MB. Friends, all the very best for CGL Mains, QMaths will provide you complete study materials and updates regarding this exam. Keep visiting us and explore our site for free study materials.